Salford offers cutting edge technologies designed to meet the diverse needs of today’s farmers so they can get the most from their land. Salford offers primary and secondary tillage machinery, seeding and fertilizing equipment,and attachments. 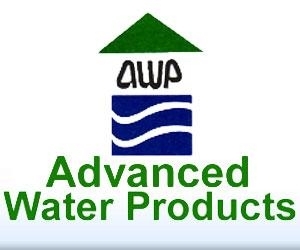 Advanced Water Products has represented manufacturers of high quality Irrigation, Fertilizer, and Dairy equipment since 1991. Located in the heart of California’s most important Agricultural region, we understand what it takes to get the job done. Get the PUREST raw Zeolite on the planet from the KMI ZEOLITE MINES in Sandy Valley, Nevada. Go Clean! Go Green! Natural Zeolite has HUNDREDS of uses, is all natural, and is one of the most useful minerals on the planet. Call Midwest Zeolite! Groff AG, LLC makes Fertilizer Openers and Patented Row Cleaners proven best over thousand of acres. Available for all planters, Goff AG Products are Made in the USA and feature Peer Bearings. Our products are evolved from years of experience. 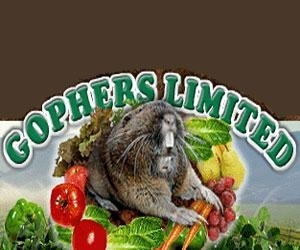 Gophers Limited is dedicated to the humane and efficient resolution of human and animal conflicts. Find out about the fastest, easiest method of controlling gophers quickly and efficiently. SEA Energy, Fertilizer Derived From the SEA! SEA 2-O is the product for you whenever your plants are "struggling". Just take a look at our before and after pictures! AMCO Manufacturing, Inc. has continually produced agricultural implements such as disc harrows, wheel offset harrows, bedding hippers, ripper hippers, ditchers, levee plows and terracing plows and a significant number of other implements. Agro-Culture Liquid Fertilizers manufacture "Responsible Nutrient Management" products that provide growers the opportunity to achieve top yields while remaining environmentally responsible. The future of fertilizers is available today.